Today we live in the era of personalization. We consume everything as per our personal need from shows on Netflix to workouts at the gym. We even customize diet plans as per our goal preference, but when it comes to clothes many of us prefer to wear ready made clothes. The question rises, do they fit you the best? Are you at your presentable best? Well you’re not. Ready made clothes have you settle for one of the standard sizes. So what’s the solution? The solution here is to go for a shirt made with your body measurements, one that is made to your best fit. Yes customized tailoring is finest way to get perfect fitting. Not everyone has the resources or patience to deal with local tailors. Let alone put up with their limited and typical choice of fabric collection. 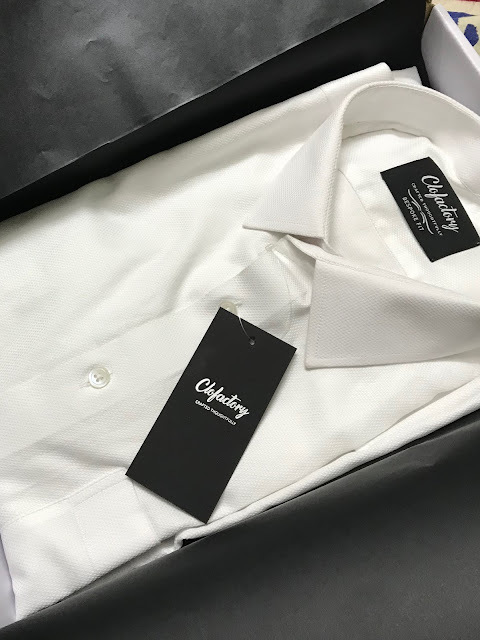 But getting a tailor and an endless variety of exquisite fabrics is pretty close to having your own style guru and clofactory.com is one of them. Consider clofactory.com your new best friend with invaluable advice to improve your life and style. As any well-dressed man knows, the key to looking good is having the right fitting clothes. The philosophy behind clofactory.com is that “Everyone has a slightly different body shape and that they deserve to wear shirts crafted according to their body measurements. That is, their most comfortable fit. So men can be at their presentable best while at their comfortable most”. The fabrics used to make Clofactory shirts are handpicked and sourced from the choicest mills all over the world. Which are then cut and stitched at the hands of the finest craftsmen. The pictures on the website are of the fabrics, but the prices mentioned are of the complete shirts. It’s so that people get better understanding of what the fabrics are like. As an early bird offer you can get 20% off on all your purchases on Clofactory.com. Below are some of the recommendation by us. Check out the collection and let us know how it is by commenting below.